Why Your Brand Needs an Ethical Cause – yes supply co.
Why A Digital Detox Should Be ..
How to Become a Better Person ..
It’s hard to dislike a brand rooted in an ethical cause. The particular products or services that brand provides don’t necessarily apply to you, but you know the brand. You pressed “follow” because you’re passionate about the same things. As an entrepreneur, you should be looking for every edge you can get that will set you apart from the pack. Finding an ethical cause to support with your brand’s name might be just the thing you need to get your name in front of the right audience. How does an ethical cause give your brand a boost? While you want to make sure you’re not exploiting anyone or anything for your own personal gain, it can be a great brand decision to align yourself with an ethical cause as an entrepreneur. Just make sure you find one that fits with your brand values. The benefits of supporting an ethical cause with your brand cannot be denied, if you do it from the heart and with real authenticity. Don’t just choose something you think your audience will think is “cool” or worthy of attention. WARNING: People will see it a mile away if you’re not being true to yourself, so don’t tack a cause onto your brand just for the sake of hoping you’ll start trending. 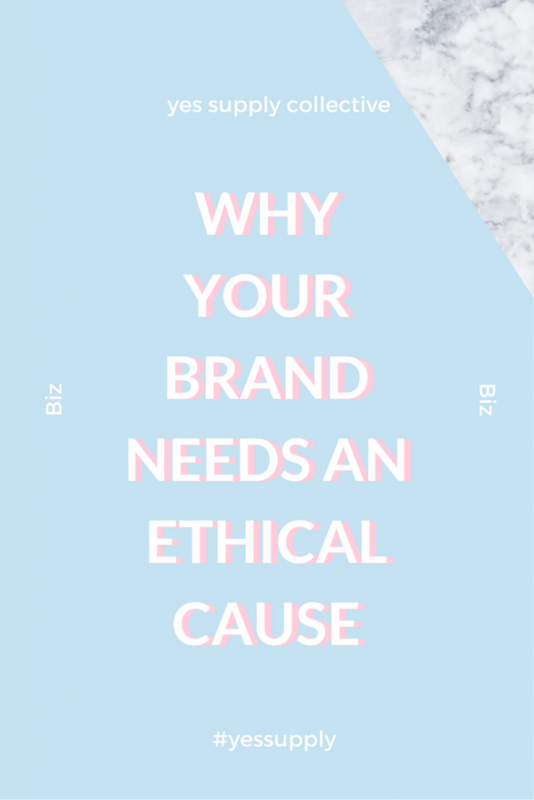 The ethical cause(s) you support with your brand name should be carefully chosen, based on your own ethics and your brand value proposition. Whatever cause you’re aligning with, there is no doubt that someone else out there has spoken out about it before, too. Therefore, it can be argued that the most obvious benefit from aligning with a cause is to increase your brand’s reach. By posting to your business blog and social media channels about the ethical cause you’re passionate about, you’re opening the window of the Internet and letting everyone who also supports that cause know they’re welcome to call your corner of the Internet home. Use relevant keywords and hashtags to open up your audience, for both possible client leads and brand collaboration opportunities. Depending on what it is your brand offers, you may even use your cause to fuel an ambassadorship program, like popular online brands The Elephant Pants and Pura Vida Bracelets. This will get your brand name out there, and get your ethical cause the attention it deserves. You’ll be surprised to see how many people you’ll start get coming to you who will say, “my friend told me that you support ___, and I just love ___!” They’ll want you to know how much they care, too, and they’ll want to know how they can help, too. All because you decided to speak up about something that is important to you! Let’s take a look for a moment at a brand that started a movement through being loud and proud about their ethics. I’ll give you a hint: They invented the bath bomb! Lush Cosmetics is a 20-year-old company with roots that go back to the 1960’s. You may have known about them for years, or this may be the first time you’re hearing about them now. Still, they manage to see exponential growth, year after year — with absolutely ZERO dollars paid out for advertising. Save for social media managers’ salaries, Lush Cosmetics thrives on social media and word of mouth marketing alone. Instead, they’ve found a way to touch people at the core of their personal values. By taking a lead in fighting animal testing, Lush recognizes problems in the cosmetics industry that need to be solved. What’s more, Lush shoppers are constantly being educated by shop workers about the brand ethics. The company takes a hand-on approach and participates in several ethical campaigns every year. This gives Lush the opportunity to bring new, relevant information to their audience in a way that will emotionally impact them and boost awareness for the cause at hand. For example, there is a yearly campaign to raise awareness for the environmental dangers of shark finning. Eventually, Lush’s “Ban the Fin” campaign reached such acclaim that the Discovery channel began collaborating with Lush during ever-popular “Shark Week.” There’s no doubt that this campaign is both shining a spotlight on Lush and giving a much needed environmental issue the attention it deserves. Take inventory of your own values and your brand’s mission. Is there a way you can do things better? Is there a significant problem that people have with your industry that needs to be solved? How can you tap into those values and make people emotionally connect with your brand? Most importantly, speaking out for an ethical cause is one of the most impactful ways we can take on the hard issues in our world today. It’s not enough to wish for things to get better. As entrepreneurs, we create platforms for ourselves, for an audience to hear what we have to say. It is up to us to open up the dialogue that needs to occur. Take it a step further, if you can. Get out into the real world, get your hands dirty, do some volunteering, do some hands-on fundraising, do whatever you need to do to raise awareness for your cause. Talk to other entrepreneurs you know, and see what you can do on a bigger scale. Get a press release written about what you’re planning. That way, more people will be able to see it and know what you’re up to. 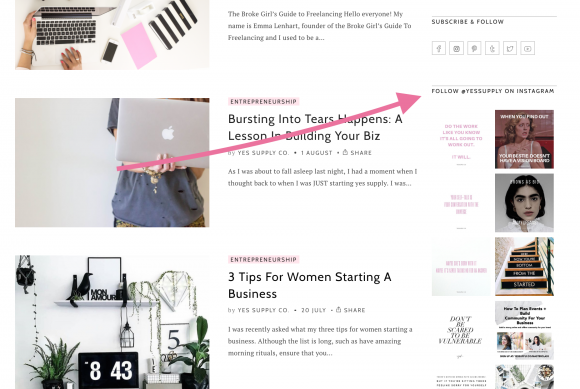 There are no limits to how big of an impact you can make — and the wave of positive vibes that will ripple into your business is a nice cherry on top. It is our responsibility to use our social influence and speak up for the causes that matter to us. We aren’t alone in these values. Sometimes, all it takes is one spark of a conversation to light up a cause that needs to be illuminated. What ethical causes are important to you? How can you support them with your brand? Tiffani J. Purdy is a content creator with over 10 years of experience writing professionally. 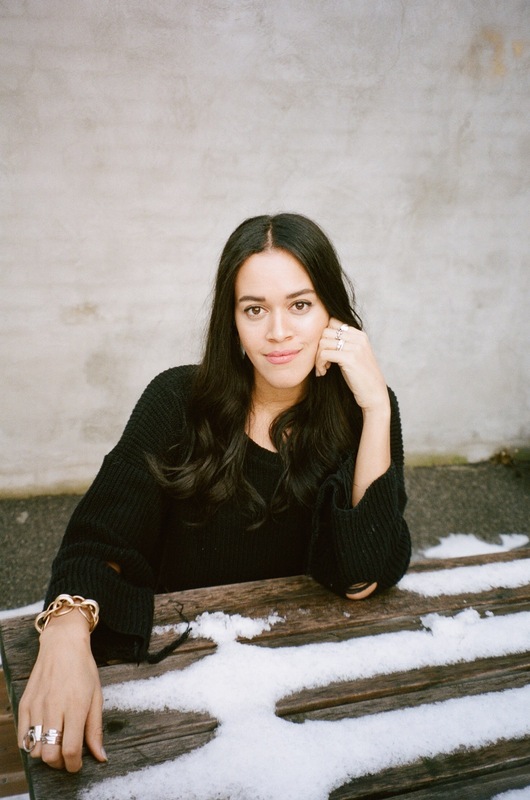 Her passion is in helping social influencers and entrepreneurs to see their fullest potential and grow the conscious consumerism movement. 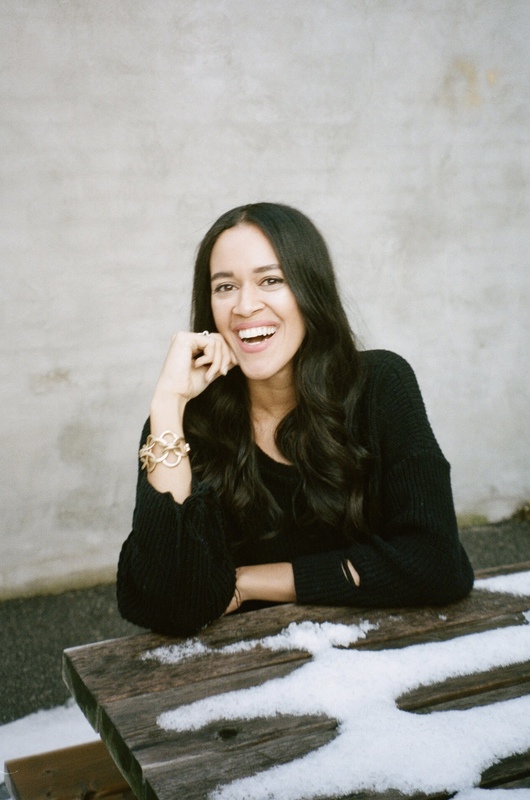 She is a Capricorn with a Capricorn Sun AND Moon, so when she's not cuddling with her little girl and her fiance, she's working hard to spread the message of ethical entrepreneurship as the Founder of the Sprout + Sage Society.